Michael Bisping has a fight coming up with Jason Mayhem Miller, but that hasn't stopped him from talking about a title shot against UFC MW champ Anderson Silva. In this video, Bisping says that he's "elusive" and "hard to hit" (tell that Hendo!) and that his striking matches up well with The Spider. Due to his popularity, if he does beat Miller, and that's a big IF in my opinion, he is likely to get his wish and get a shot at the UFC MW crown. I can't see Bisping being any threat at all to Anderson's title, but I've underestimated the British fighter in the past. He is definitely on of the top guys in the UFC MW division right, and when he fights Miller on Saturday, we'll see if he's worthy of a title shot. Pat Audinwood certainly lived up to his "Awesomely Awesome" nickname by stopping Ring of Combat champion Al Iaquinta in the first round of their title fight on November 18. Pat rocked Iaquinta with a left hook and then finished the fight with an armbar. In this interview with Kristen Brown talks with Pat about the fight, his nickname and his desire to get back into the UFC. I have had the pleasure of ring announcing Audinwood several times, and I suspect we will see him back in the UFC again. He's a talented fighter with an excellent ground game and heavy hands. To beat the previously undefeated Al Iaquinta the way he did is a pretty amazing, and it was a great way for Pat to start earning his way back into the Octagon. Here's the video interveiw. I owe undefeated Ring of Combat light heavyweight champion Tom DeBlass (6-0) an apology. During the Internet broadcast of his ROC 38 title defense, I erred when stating his opponent's record. Coming into the fight, David Tkeshelashvili had something like an 11-3 record, not the 1-1 that I mentioned on the broadcast. I had used an online source that was incorrect, and I apologize to Tom, David and the fans watching at home that night. That said, this may have been Tom's toughest fight to date, and he showed a lot of grit and skill in retaining his title with a unanimous decision win. DeBlass has been on my radar screen for some time now, and he gets better with each performance. Lou Neglia, promoter and matchmaker for the Ring of Combat, never gives his champions an easy fight, and Tom had to work hard to defend his crown against the very tough and talented Tkeshelashvili. Once again, he passed a tough test with flying colors. 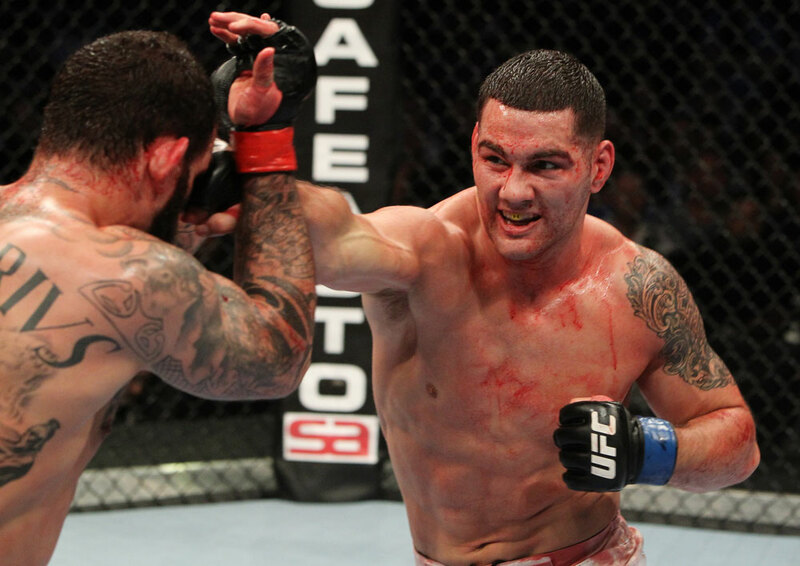 I suspect that Tom will one day soon be getting a call from the UFC, as have over 50 ROC fighters, including current UFC LW champion Frankie Edgar. Kris Brown was on hand at the show, and she interviewed Tom after the fight. Check it out. At Lou Neglia's Ring of Combat show last weekend, I ran into Edson Barboza and his manager and strength and conditioning coach Joe Mullings. They talked about Edson's training, his upcoming fight with Terry Etim and more. Fresh off his knockout victory over George Sotiropoulos at UFC 132, Rio de Janeiro resident Rafael Dos Anjos spent 3 weeks in Southern California sharpening his skills at Black House and Reign Training Center between training camps. Andre Dida, Pedro Munhoz, Leandro Batata, Roy Tapia, James Moontasri, Kevin Casey, Kenny Johnson, and Mark Munoz. 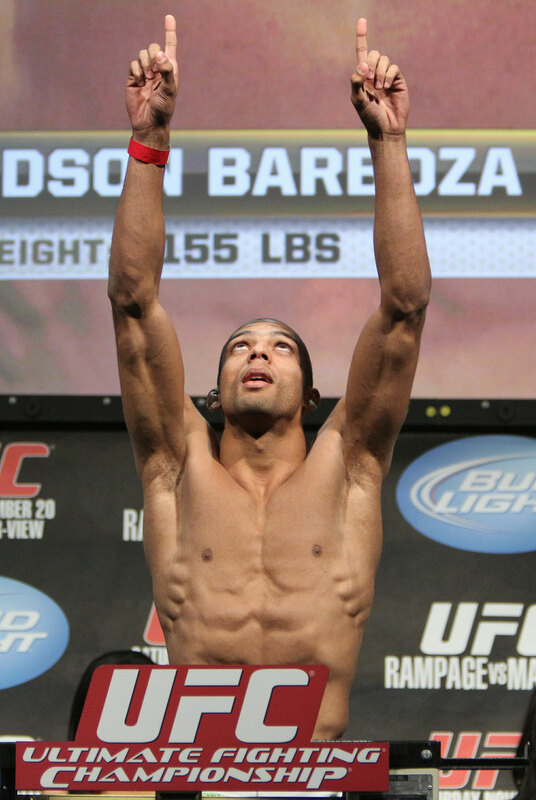 Rafael takes on fellow Brazilian Gleison Tibau at UFC 139 November 19 in San Jose, CA. Ken Shamrock is a legend in the sport of MMA. His popularity was a big part of the success of MMA, and his accomplishments cannot be understated. Unfortunately, in the UFC encyclopedia, as we pointed out recently, Ken received only a half a page, which was as insulting as it was petty. Still, long time fans know how important Ken was to the evolution of the sport, and show him the proper respect. In this wide ranging video interview, Ken talks about the early days, steroids, Pancrase and lots more. Respect the chops! Brock Lesnar says he's 100 percent healthy now after recovering from his diverticulitis surgery and he's putting the UFC HW division on notice that he's hungry, healthy and "the baddest dude on the planet." Brock takes on Alistair Overeem next month in a very important fight as the winner will getting a title shot against the winner of Cain Velasquez vs. Junior Dos Santos. In the video Brock also talks about his wrestling days and whether we'll ever see another F5 from the former WWE champion. Check it out. Former UFC heavyweight champion Bas Rutten is one of MMA's most knowledgable people. In this video he breaks down the two big heavyweight fights coming, Cain Velasquez vs. 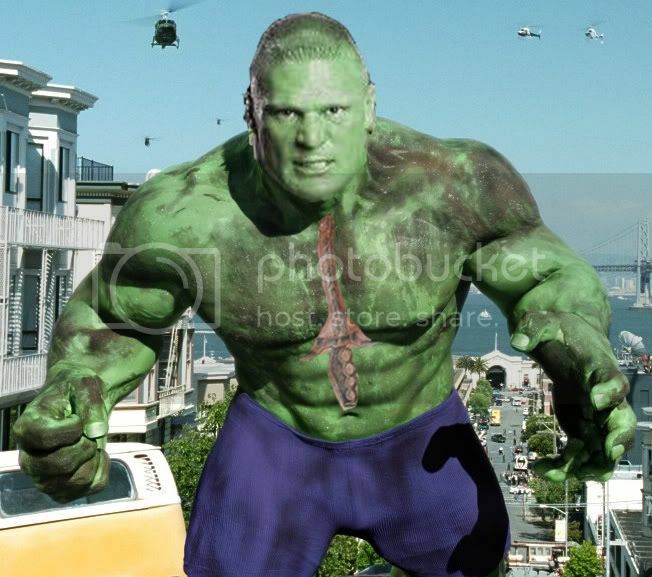 Junior Dos Santos and Alistair Overeem vs. Brock Lesnar.